I had hoped to be 'ta-dah-ing' my baby granny stripe blanket today but as per usual, the sewing up takes foooorever! I have quite enjoyed it though, sat watching the Formula One race and sewing, sewing, sewing. 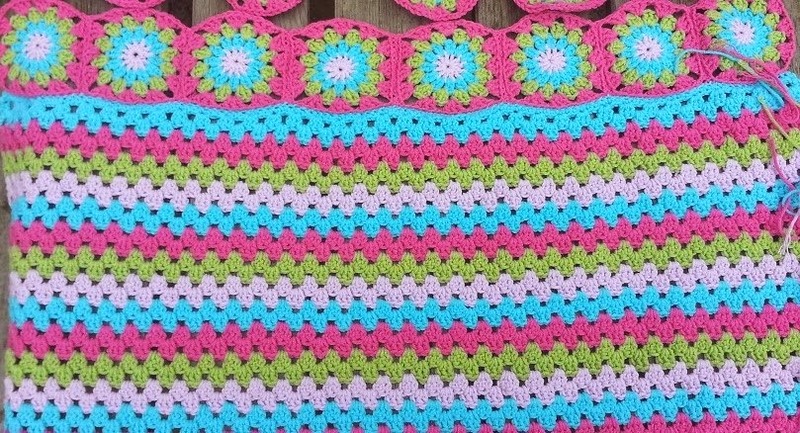 It is totally my fault that there is so much sewing, I decided to add a row of granny circley-squares to each end of the blanket to add a nice finishing touch. I was a bit worried that I hadn't squared them up enough and they do sort of pull the blanket out of shape a little, I don't mind that though, I think they look quite good. I am going to pop an edging around the whole thing too so that should help get it back into shape a bit. It is a lovely feeling to be on the verge of finishing a project isn't it? That anticipation that all the work has been worth it and you are about to get something very pretty to show for your efforts. Yes, very satisfying indeed. 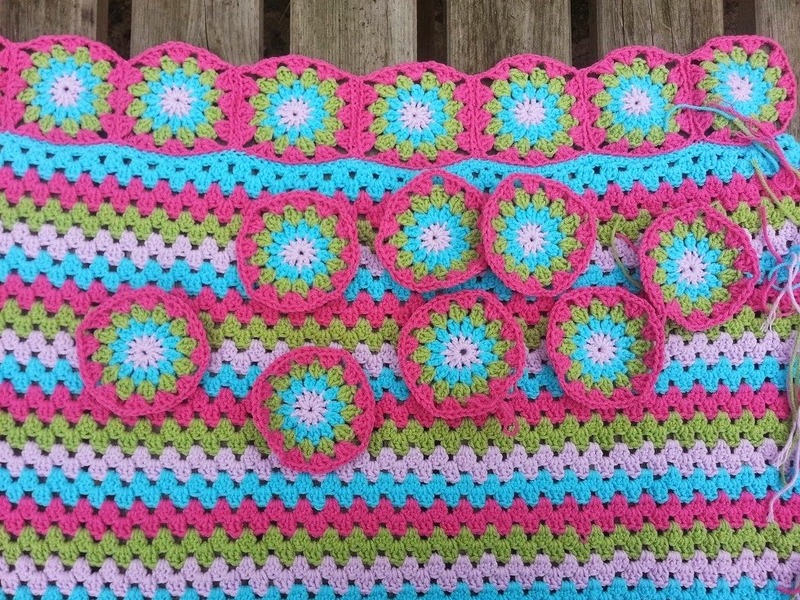 I am totally in love with this yarn too, it is lovely to work with. 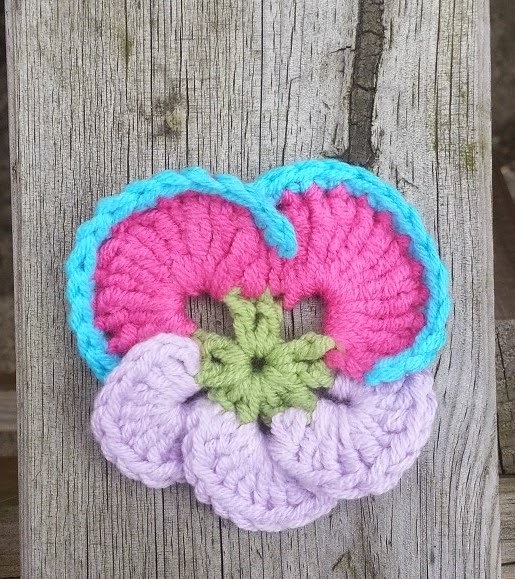 My firend showed me a picture of some extremely sweet little pansies the other day and having this yarn readily to hand I did a quick mock up of them from the picture and I am very pleased with the result. I think it would make a lovely shelf edger or garland of some sort to have lots of these in different colours, strung together - another idea for the list!